2 Pcs Emergency Car Kit. 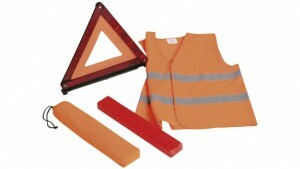 Make sure that you are clearly visible when your car breaks down with this set that contains a warning triangle and safety vest. Set comes in a nylon pouch which makes it easy to store in your car.